My reading mojo continued into February and I've been really enjoying picking up books from my shelf and diving in. I completed some books for Finish It Feb which I'll cover in a separate blog post, which felt really great. I also finally started picking up graphic novels/trade paper backs again after what seems like an absolute age and I've been loving it. My biggest bookish news during February was that I finally finished reading War and Peace and it was extremely emotional as I really felt that I'd accomplished something after struggling with it for so long. I wrote about my experience and I've linked that blog post in the list below. I was also part of a blog tour which was very exciting as I absolutely loved the book and I was lucky enough to interview the author for my turn on the tour and she was absolutely lovely. Again I have linked that post and the review I did below. There are two more blog reviews coming up for books I read in February, so I will add their links once they are live. If you wanted to read any of my reviews that aren't on my blog, feel free to add me on Goodreads! My profile is here. What has everyone else been reading? Let me know and if you have any recommendations for me that would be awesome! 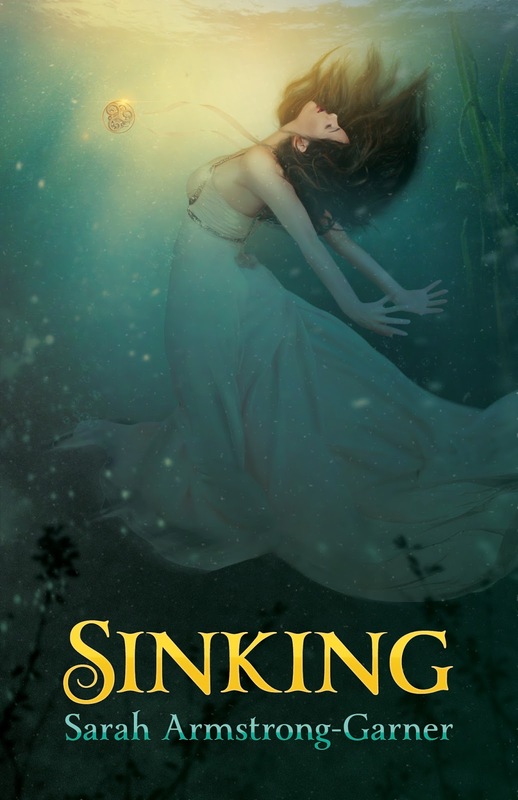 Following my Sinking Blog Tour post on the 19th I promised a review of the book and I decided to bring it to you on the day of the books Facebook launch party and here it is. I started reading this book on the 14th of February 2016 and finished reading it on the 16th of February 2016. I gave this boo 5 stars on Goodreads. I am super excited to be part of the blog tour for the release of Sinking by Sarah Armstrong-Garner! How stunning is this cover? I do have a review of Sinking that I will be publishing on the day of the Facebook Launch Party on the 25th of February, but for now I have the pleasure of bringing an interview with the author! Nerdish Mum - The story is set in the eighteenth century, is there something about that particular time period that draws you to it? Sarah Armstrong-Garner - I love the magic of not having all the answers. Today we have the internet with endless knowledge, science that has discovered invisible to our eye molecules and almost every living animal has been discovered. Back in the eighteenth century our world was still being mapped out and discoveries were happening daily. Nerdish Mum - How much research goes into being able to set a story in that time period? Sarah Armstrong-Garner - A lot. I have stacks of history, marine life and folklore books on my bookshelves. I've watched an endless amount of documentaries and shows trying to submerge myself in the past. It's hard because I'm pulling from a time that I never lived in and our culture is completely different. Nerdish Mum - Ireland is a beautiful and magical place. Other than those reasons, why did you set your story there? Sarah Armstrong-Garner - With book two, Drifting, this question is answered. I don't want to give away the twist before you have a chance to read it. Nerdish Mum - Oooh that's incredibly exciting and cryptic! Onto the next question though, as a writer, do you put any of yourself into your characters? Is there any of your personality in Jocelyn and if so which part? Sarah Armstrong-Garner - Like children, an author gives birth to a character and raises them. But the characters have their own personality that grows into stubborn people to talk back and tell you how to write the story. I believe there are hints of me in Jocelyn, but she really is her own woman. Nerdish Mum - Sinking is your first published novel, but have you been writing for a long time? 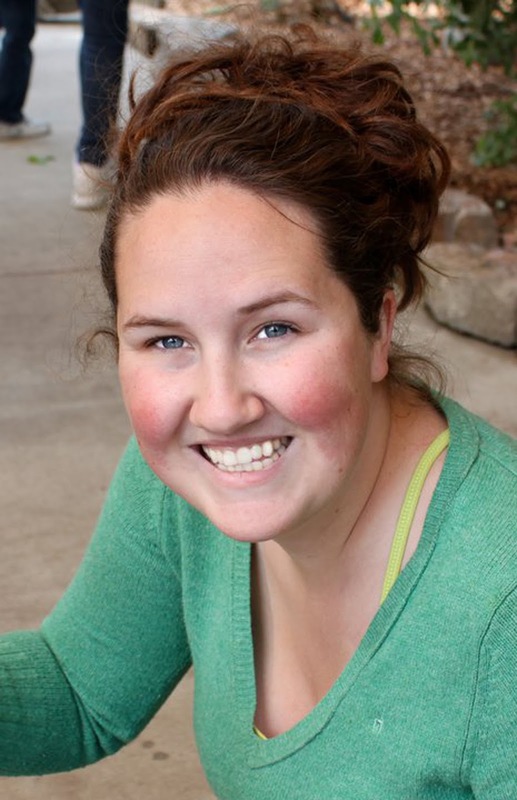 Sarah Armstrong-Garner - I've been writing since I was little, but didn't know I wanted to be a writer until I reached college. I studied screenwriting and fell in love with story. When I was developing Sinking, I wanted to go deeper into the characters than a screenplay would allow, so I began my first novel. It was a learning curve, because with screenwriting less is more and too much description can slow the story down. But with novels, you want the descriptions to create the depth of the world. Nerdish Mum - Do you have a writing nook or somewhere that you like to sit and write? Sarah Armstrong-Garner - Pretty much I can write anywhere as long as I have mu music and headphones. Most nights I write in bed as my husband sleeps, or when I have a babysitter, I go to my husband's work and sit in a gym and write. Nerdish Mum - The ocean/sea is a big part of the story. Are you a big fan of the water? Sarah Armstrong-Garner - I have a love-hate relationship with the ocean. I love the surreal beauty of the sea that makes my heart still with each wave, but am terrified by the vastness of its size and the creatures that live below the surface. Nerdish Mum - The cover is absolutely stunning, did you have a lot of say in its design o did they take your story and run with an idea? Sarah Armstrong-Garner - I was very lucky and was asked how I envisioned the cover before our amazing digital artist, Sara Helwe, began. On the first draft I was blown away, Sara had taken what I had seen in my head and made a beautiful art piece. Nerdish Mum - What do you like to do when you're not writing? Sarah Armstrong-Garner - When I'm not writing I am playing with my three kids. In fact after I'm done with this interview I'm going to play school with my four year old. Nerdish Mum - I won't keep you much longer then, one final question. Do you have a favourite book or author? Sarah Armstrong-Garner - I adore Neil Gaiman and Eva Ibbotson. When I read "Neverwhere" I was hooked into Neil's world of fantasy and Eva's "A Countess Below Stair" stole my heart. Thank you so much to Sarah for answering my questions! I hope you enjoyed the interview and that this gives an insight into the person behind the book and makes you even more excited about reading Sinking. Don't forget to check out the Facebook Launch Party where there will be prizes (inlcuding signed copies of Sinking) and lots of other fun. 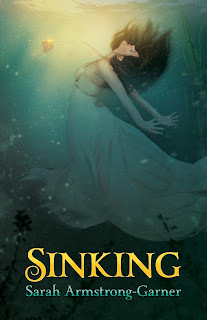 Also check out Janeen Ippolito's review of Sinking which will be up on Monday 22nd February. Before I get into the review or any of the details of my reading experience etc I would just like thank every single person who got behind me while I have been reading War and Peace. The people who have liked my tweeted updates or my daily updates on Goodreads. The people who have sent me encouraging messages and memes. And especially to my buddy reader who without her I would never ever have gotten through this book! So thank you F, you're amazing!!! I started reading War and Peace by Leo Tolstoy on the Readathon Day 2015 which was held on the 24th of January 2015. The readathon was 4 hours long and I was really proud of myself as I managed to read 153 pages and though it was excruciatingly wordy, I was getting through it. As an example of the wordy-ness, this is a sentence from the top of page 6 "As she named the Empress, Anna Pavlovna's face suddenly assumed an expression of profound and sincere devotion and respect, tinged with melancholy, and this happened whenever she mentioned her exalted patroness" - I feel this could have been done in a much more succinct way and in a way that didn't make Anna's face sound like it was performing a drama. So we move onto April and I finally get around to picking the book up to continue reading it and I manage three pages before I fall fully asleep sat on the sofa. tried on and off until September and I kept managing the same three pages before falling asleep, whether I was tired or not. In October I had some success and I finally read 26 pages all in one go and then on another day another six, but I just couldn't do it any more. It was so painful to force myself to read it and to keep myself awake, especially as there are so many books that I want to read. So I made the decision that I was going to DNF (did not finish) my first ever book! I made my intention known on Goodreads and then from nowhere one of my Iggle (IGGPPC member) friends said that she had wanted to read War and Pace too and that she would get a copy and catch up with me and we would read it together! I jumped at this as I was upset that I was leaving a book unfinished and had let it beat me, so a few days later we started reading 10 pages a day until new year and then we upped it to 20 pages a day. Having someone else reading this with me gave me the motivation I needed to get through this tome. It didn't seem as much effort to get through the pages and with deciding to read a set amount of pages a day, it really felt like I was making progress. I am eternally grateful to F for helping me out with this and I look forward to all out future buddy reads to get through books we want to read, because we should read. Onto the review. I am being very, very generous giving this two stars instead of one. The only reason that I am doing this is that during the times of "peace" there were bits of scandal and gossip that kept me almost interested. There is a whole host of characters that come and go so often that you forget who they are as a lot of them have very similar names. Some characters disappear for a long time, only to come back and die in nothing more than a sentence. One character has more lives than a cat and is pronounced dead so many times, you just don't care any more. There was character that I did like and I was pleased that he got his happy ending that he deserved. The sections which were from Napoleans point of view, to me felt like they were added as an after thought or were written at a different time by a different person as they read so different to the rest of the story, I discovered through F that War and Peace was originally released as a serial so it is actually possible that these parts were added as an after thought. Towards the end of the book, Tolstoy seems to forget he is telling a story and there is more than one chapter which are just his opinions on war and history. It's very jarring getting to these parts when the chapter before and after are jut continuations of the story as if the middle bit never happened. As I've said at the start, I would not have got through this book without the support of my buddy reader and I really respect people who can do it alone (and enjoy it!) I'm proud we got through it and I'm certainly glad that I can honestly say that yes I have read War and Peace. Have you ever read War and Peace? What was your reading experience and did you enjoy it? I started reading this book on the 24th of January 2015 and finished it on the 10th of February 2016. I just realised that we're part way through February and I haven't done a round up of the books I read in January! I started off the year with quite a bang and I managed to read a whopping 12 books as well as continuing to read 20 pages a day of War and Peace (but that's a whole other blog that will be coming your way very soon)! I read a really wide variety of books in January and it really kept me motivated to read the next book as I'm just picking up whatever I feel like reading at that moment instead of planning out in advance what I should be reading. Two of these books were ones I received for review and I have linked them to their reviews if you feel like going to check them out. I'm looking forward to keeping up my reading momentum for as long as I can and having a productive February as I have a couple of books for review as well as taking part in a blog tour and having a go at Finish It Feb.
What have you been reading recently? Have you read any of the books that I read in January and if you have, what did you think of them? Let me know in the comments, I'd love to hear from you!